Well the story begins a few months ago when I receive a call from one of my best buddy – conveniently out of touch for some time now :) - putting me on notice. I was summoned to be present in Bhubaneswar on the January 26th, 2014. Two of my best buddies – Richi and Sandy – were getting married on this day when the entire country would be celebrating, who cares if it is for different reason altogether!! In case you are wondering about the legalized way of first couple of sentences, it is the most apt way to describe the invitation call I had. Though this is right place to confess that it was my doings why that call was so tough worded. I had to ditch my plans of attending the marriage of another prominent member of our group last year and hence this couple was probably apprehensive looking at my record!! I was determined to not ruin my record any further and hence reached directly out to my laptop to get me booked for my flight to Bhubaneswar. It is important to note the nervousness of my hosts, who could not trust my plans until they had a copy of my itinerary in their hands. Well on a serious note, it was really impressive the way they followed up to pick any information about my travel plans to ensure that logistics were arranged well in advance. And as planned there I was on Terminal 1-D of the Delhi airport, waiting for my flight on 25th of Jan. India had just drawn an almost lost one-day with New Zealand and the enthusiasm of this was evident in the cheers at the airport. 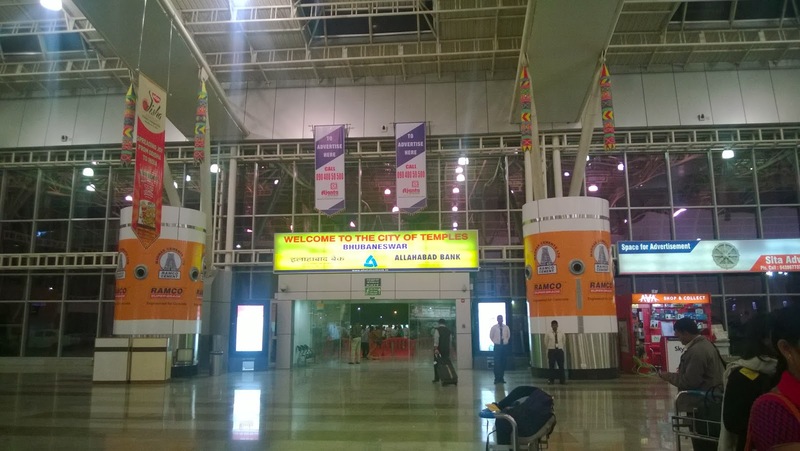 The plane takes off on time and lands in Bhubaneswar - The city of Temples. 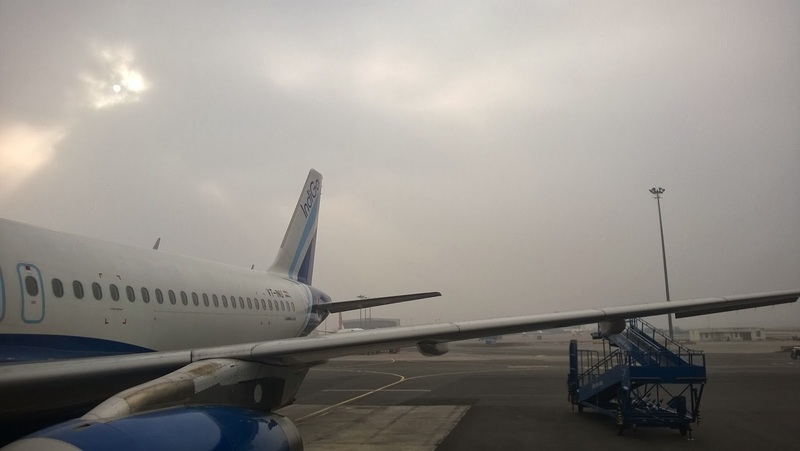 After witnessing the Delhi airport which is like a junkyard full of innumerable planes at any time, a single aircraft on the entire airport at Bhubaneswar was an unusual sight. Sandy’s friend Anant and Adi were landing there in few minutes and hence we had a shared ride. Once we were out of the airport, we were driven to the place which was going to be our playground for the weekend. Well we were just in time for the festivities to begin and first one to come was the Sangeet ceremony. We were treated to sumptuous food and an evening full of singing and dancing. Many relatives took turn to sing, celebrating the union of two of our loved ones, the best show put up was that by Sandy himself and Richi’s mom. Well none of the two were surprises as we were used to the awesomeness of their singing abilities. 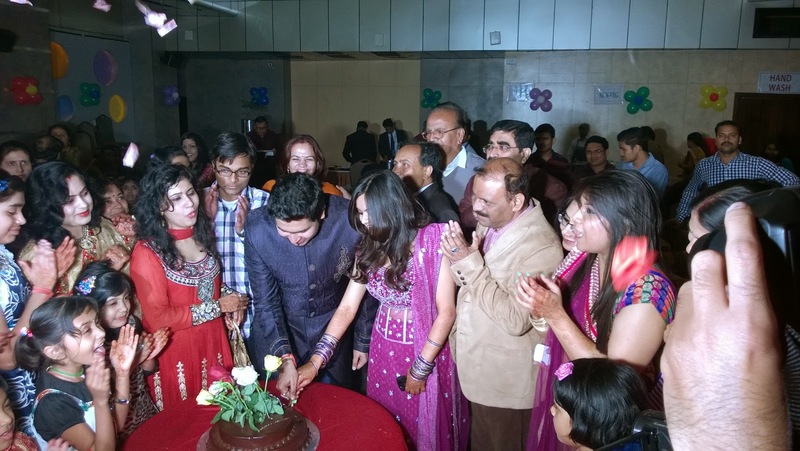 Ritisha and Ragini had prepared a few dance numbers and had their chance of expressing their happiness on the occasion. All these were followed by release of numerous sky lanterns which itself became a kind of ceremony. The night was not over yet and once everyone had retired, we got onto a get-together sorts of where most drank and all talked (technically I too drank – neat coke!). Next morning brought with itself fresh new reasons to rejoice. While the entire country was celebrating the Republic Day, we were dancing in our “Dada’s” baraat. Well, just to remind, reaching the baraat venue from the guesthouse was a story in itself. Riding on an auto were we 4 friends searching for a “chowk”. Gradually the baraat reached its destination and the groom was welcomed into the pandal. Richi by then was already there at the venue, joyfully greeting the guests and posing for pictures. The rituals began and continued one after the other. Rituals were aligned to mixture of traditions from Bengal and Orissa. And amidst all the celebrations, I now had a bunch of new friends which made the occasion eventful and fun - Nitin, Kushagra, Aditya, KC,Anant and Ritika - Cheers to you guys!! The ceremony extended till the evening and I did not realize when it was time for me to bid goodbyes. I met the couple for a last time, wished them and took off to catch my flight back to Delhi. I was back by the night and was exhausted after two days of non-stop fun. It indeed is a great feeling to be with friends during this most important moment of life and this was a double dose of it – knowing both sides of the couple tying the knot. And to add cherry to the cake, I now have a few more moments to cherish and a lot of new friends to interact with.